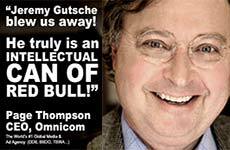 "Gutsche is one of the most sought-after keynote speakers on the planet, well-regarded as the top trend-spotter in the world... the most energizing, inspiring & applicable... & I've heard Bill Clinton... Bill Gates... & Tony Robbins." Join 750 brands, billionaires, CEOs and NASA who rely on Jeremy Gutsche to accelerate innovation and ignite change. 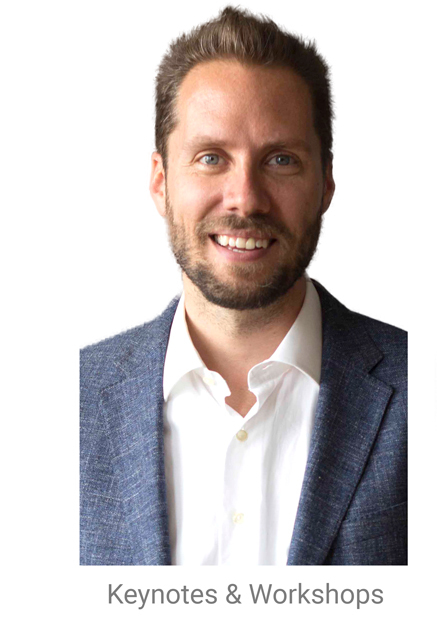 Beyond working as an innovation keynote speaker, Jeremy's Innovation Accelerator is relied on by over HALF of the world's most powerful brands. Jeremy Gutsche, MBA, CFA, is a New York Times bestselling author, an award-winning innovation expert, "one of the most sought-after keynote speakers on the planet" (The Sun Newspaper) and the CEO of Trend Hunter -- the world's #1 innovation website with 200,000 idea hunters and 3 billion views from 150,000,000 visitors. Prior to Trend Hunter, Jeremy grew a $1 billion portfolio for a bank, and today, over 600 brands, billionaires and CEOs rely on his innovation keynote speeches and workshops to ACCELERATE INNOVATION and MAKE CHANGE HAPPEN, including Google, Disney, Starbucks, Red Bull, Netflix, LEGO, Victoria Secret, Coca-Cola, IBM and Wells Fargo. He's even helped NASA prototype the Journey to Mars! Routinely sourced by the media, Jeremy's broad appeal ranges from The Economist and CNN to Entertainment Tonight and The New York Times. 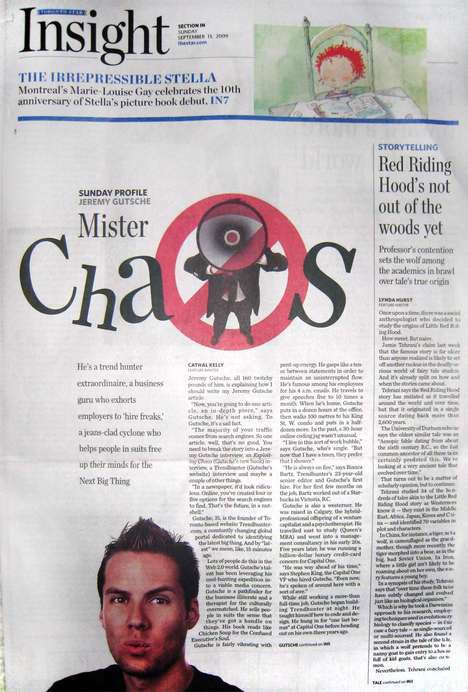 He has been described as "a new breed of trend spotter" by The Guardian, "an eagle eye" by Global TV, an "Oracle" by the Globe and Mail, an "intellectual can of Red Bull" by Association Week, "the rockstar of keynote speakers" by Meetings Professional International and "on the forefront of cool" by MTV. As a top innovation keynote speaker he has the #1 most-watched innovation keynote videos on the internet and he has inspired 475,000 people at 633 live events. 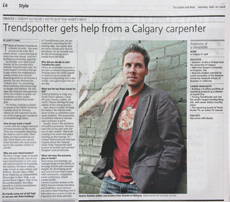 Before Jeremy's dot-com success and work as a top innovation keynote speaker, Jeremy studied innovation at Stanford, completed an MBA from Queen's University, became a Chartered Financial Analyst, and graduated as a Chancellor Scholar from The University of Calgary, where he was later awarded Graduate of the Decade. 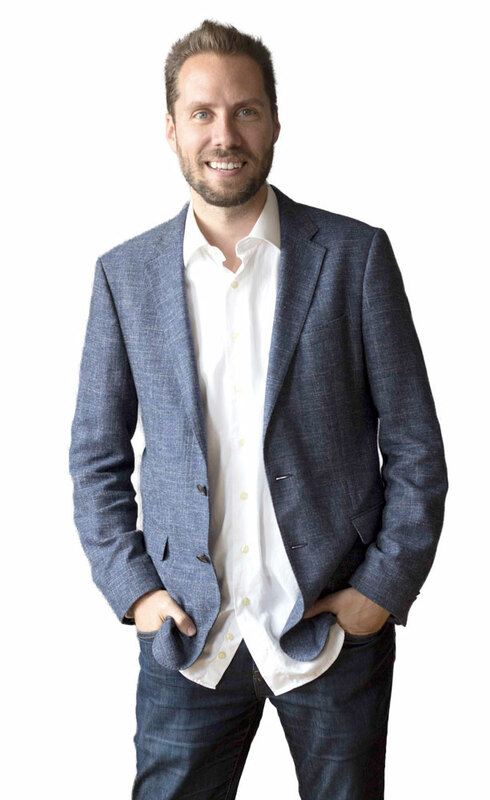 He was one of Capital One's youngest business directors and innovation leaders. Prior to Capital One, Jeremy spent several years as a management consultant at Monitor Deloitte. 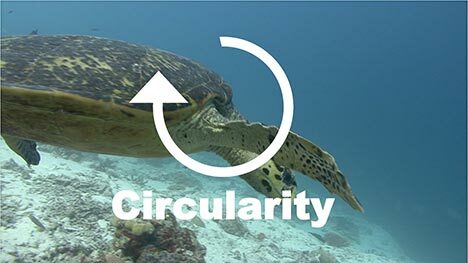 Social Good - Jeremy and his team believe in a future made better by education, eco-awareness and social business. 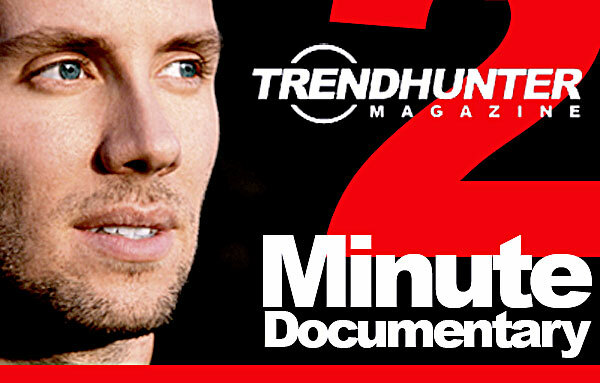 To date, the team has contributed roughly 25,000 articles, generating 250,000,000 views of exposure through three Trend Hunter channels: Trend Hunter Eco, SocialBusiness.org, and Keynotes.org (which features inspiration from the world's best strategy and innovation keynote speakers). On a personal note, he drives an electric car and rocks solar panels on his roof. • Trend Hunter audience of 3,178,000,000 views from 150,000,000 people; WSJ Workplace of the Day; "Canada's Best Startup Work Cultures" & "Canada's Most Innovative Companies"
When the CEO of Sony, Victoria's Secret or NBC Universal require a top innovation keynote speaker; when Google needs to prototype its product strategy; when IBM requires 'The Perfect Kickoff' for 8,000 leaders; or when NASA needs to prototype the mission to Mars, they rely on Jeremy Gutsche, "one of the most sought-after keynote speakers on the planet" (The Sun) and "The Rockstar of Keynote Speakers" (Meeting Professionals International). When your event is critically important, you need the certainty an award-winning author, the authority that comes with a $1 billion corporate track record and an the unparalleled energy of an "intellectual can of Red Bull." 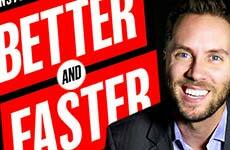 Translated into 8 languages, Better and Faster is a New York Times Bestseller, an Amazon #1 bestseller, rated one of the best innovation books and the #1 most popular innovation keynote speaker video in history with ~9,500,000 views. 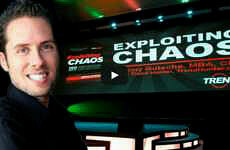 Exploiting Chaos, was one of Inc Magazine's Best Books, winner of the Axiom International Book Award, and a bestseller translated into 7 languages with 500,000 downloads & 1,000,000 videos views. There's a reason he's called an "intellectual can of Red Bull." 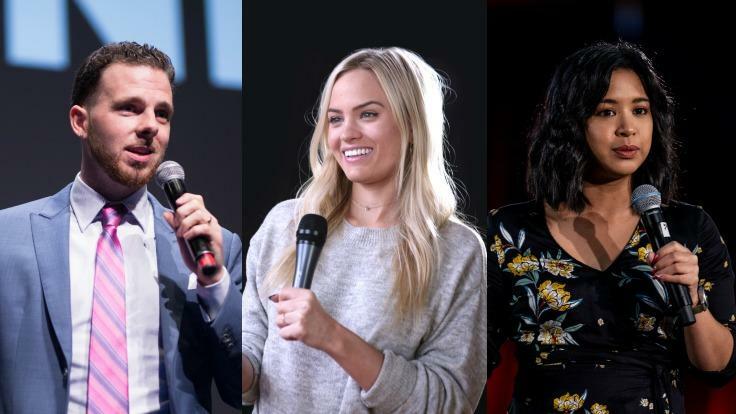 Few innovation keynote speakers who combine high-energy, humor AND innovation credentials. 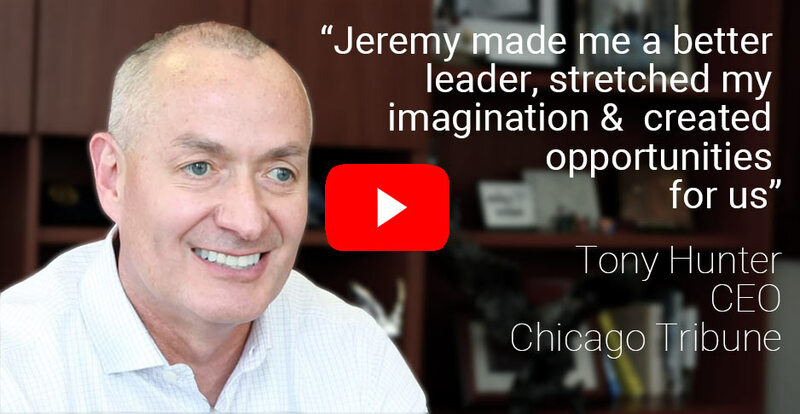 If you are looking for transformative change or next level thinking, you need one of Jeremy's 2-7 hour innovation workshops to follow his innovation keynote, relied upon by the world's top leadership teams. These are 100% customized based on your CEO's needs and your collective results from Trend Hunter's Innovation Assessments. "We had 7500 people from 82 countries, translated into 12 languages, which is more than the United Nations. Jeremy was unbelievable... a standing ovation! Best closing speaker we've had in years! Don't miss him!" 4. Make change happen when change is hard. In the innovation workshops, Jeremy will guide your team through his proven methodology in a series of exercises applied directly to your most concerning challenges. Sub-groups of 4-8 people will work together developing impactful new ideas, disruptive thinking and a cohesive set of next steps. 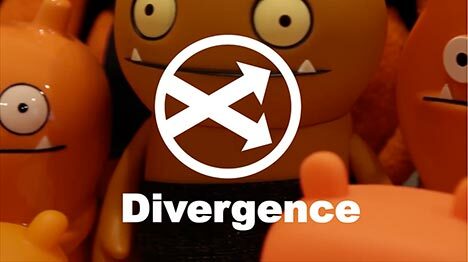 Multiple teams provide multiple perspectives, leading to even more ideas. Workshops can include a dozen people or a full conference room, although the structure is different based on size. Also note the workshops are especially useful for CEO participation, corporate boards and leadership teams. 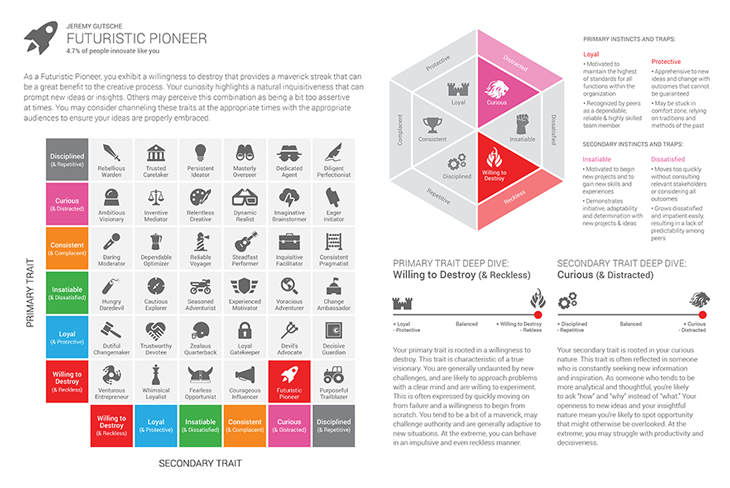 In addition to the tangible takeaways, your team will develop a new set of tools that can be replicated, including:	rapid prototyping, building cohesion, disruptive scenario thinking, forecasting the pace of change and the 6 Patterns of Opportunity. Jeremy's innovation keynote and workshops helped: NASA prototype the journey to MARS, the top 200 from Microsoft prototype cultural change, the top 50 from Victoria's Secret better understand their customer, the top 250 from NBC prototype their long term future, the top 80 from Chicago Tribune reinvent their strategy, and hundreds of other brands and billionaires to prototype a better future. "I've seen him 3 times and booked him for my clients. When he speaks, people tweet so much when he is onstage, it takes down our networks. People love him. I can't wait to book him for a fourth time, because he is wonderful." "A phenomenal speaker who, in a short time has become one of North America's most requested keynote speakers." "Jeremy was brilliant, funny, smart and just plain out of this world ... His presentation was exactly what we needed to hear and perfectly customized for our audience." "He's just incredible. Totally spot on. He takes his remarkable research and applies it to our industry. He captures attention. I've seen him 2 times, including the superbowl of meetings, the 3,000 person MPI World Education Congress. I love hearing Jeremy speak." "He's a bestselling author who will teach you game-changing beliefs, cutting edge frameworks and powerful ideas so that you can create lasting connections with customers while providing value, leveraging creative thought and harnessing chaos." 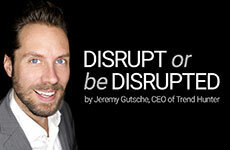 "Jeremy is the most innovative speaker we've had and he inspired our group to look at our business differently. The feedback from participants was the most positive we've ever had on a speaker. In addition to the keynote, we hired Jeremy to lead a workshop with our executive team. His energy and enthusiasm is contagious and what followed was the most creative session we've ever had. I don't think our team would have achieved the insight we did had it not been for Jeremy. 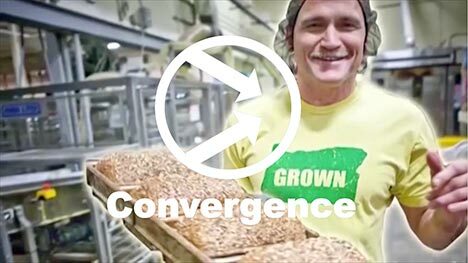 He helped us sharpen our focus on some key strategic initiatives which will lead to game-changing results. As if that wasn't enough, he even got us featured on CNN." 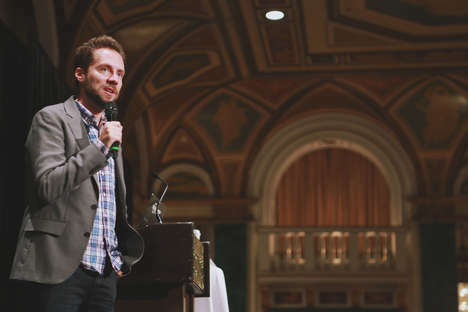 "Jeremy was the highest rated speaker at the Canada-e-Connect Strategy Conference. Even with an amazing line-up of speakers, delegates still today tell me how much they enjoyed Jeremy's keynote speech. 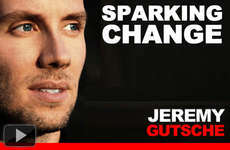 In addition to being a great speaker, Jeremy also happens to be an awesome guy!" "Best speaker of the whole 3 day congress... Energizing, stimulating, modern, fun, passionate presentation... Jeremy was the most effective & relevant presenter of the whole conference [Jeremy's weighted score was an unprecedented 97.1%]." 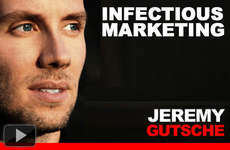 When he's not touring the globe as a futurist & innovation keynote speaker, Jeremy is CEO of Trend Hunter, the world's #1 largest, most popular innovation and trend platform, driven by Artificial Intelligence and attracting 3 billion views from 150,000,000 people, with more social media fans than almost every newspaper on the planet. Every month millions of innovators like Disney, Red Bull, Starbucks, Adidas, Samsung and Target rely on Trend Hunter to Find Better Ideas, Faster ®. 1. 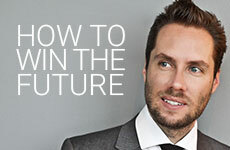 How to Win the Future (2019) - Jeremy's newest and best innovation keynote will help you realize your full potential and make change happen even when change is hard. Based on his work helping NASA prototype the Journey to Mars. 3. Disrupt or be Disrupted - Learn to Spark Innovation & Change [Disruption Keynote] - The 18 Most-Powerful Futurist Megatrends & How to Adapt, Based on Trend Hunter's big data and research of 150,000,000 people. He will make you BETTER because he will teach you the how to overcome the psychological traps that consistently block successful people from realizing their potential. 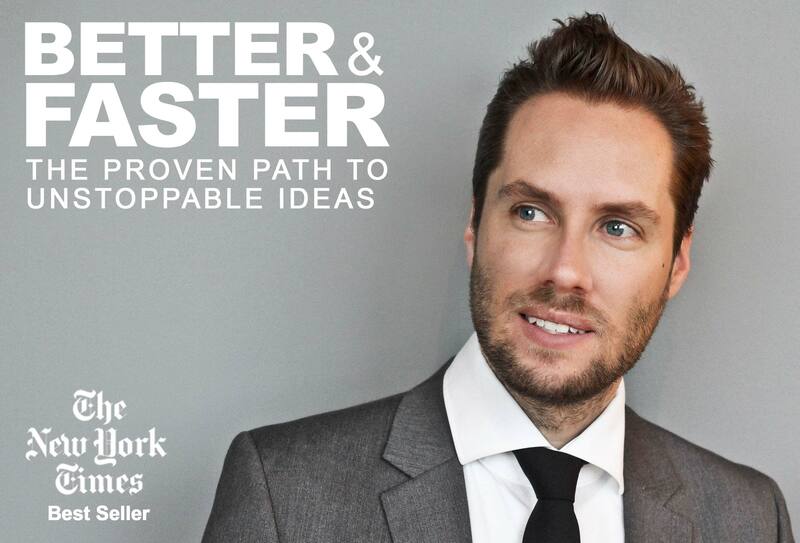 Connecting 10,000 years of evolution to our ability to adapt to rapid change, he will show you why smart people miss great ideas and what to do about it. He will make you FASTER by teaching you six patterns of opportunity; the proven paths to unstoppable ideas. 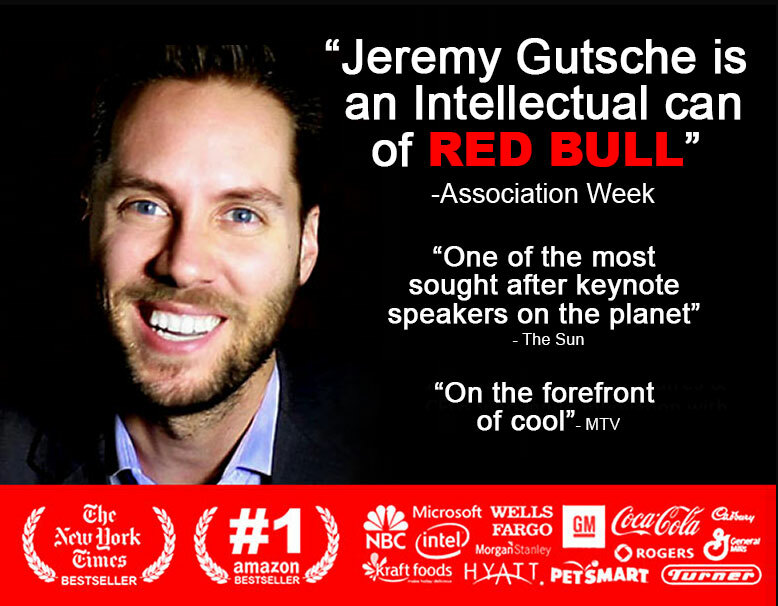 As the guy referred to as the "Intellectual Can of Red Bull," all of Jeremy's examples will stem from highly engaging, humorous and educational lessons from the untold tales of reclusive billionaires, unexpected stories of success, ex-criminals who made it big, and ordinary people who achieved the unthinkable by simply seeing the opportunities that others overlooked. Put it all together and you will know the smarter, quicker, easier path to breakthrough ideas. You will better understand what aspects of your own success hold you back, and you will learn to see patterns and clues that will lead you to be a better investor, better innovator, better creator and better at adapting. You will realize all the great ideas that you're already so close to realizing. You will be BETTER & FASTER. If your really want to create a culture of innovation, you need deep, custom insight about your team and a strategy that reflects what makes you great. 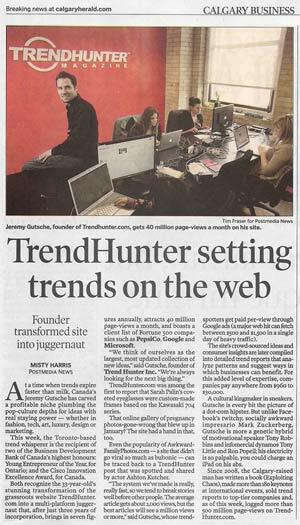 Jeremy's best innovation keynote speeches and workshops take advantage of Trend Hunter's innovation assessment. Each attendee gets a personalized innovation assessment and 7-10 pages of custom insight before the event. This will reveal key strengths, innovation blindspots and opportunities. Plus, you will get deep insight about your overall group, which Jeremy will use to customize his innovation keynote. Even the best innovation keynote speakers often lack real world experience. Not only does Jeremy run the world's largest and most-popular trend website, he also grew a $1 billion business line for a bank. Get an innovation keynote that's ACTIONABLE. 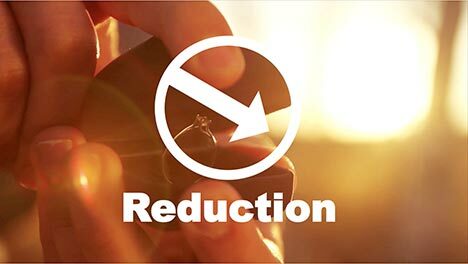 If you require next-level change, reinvention or disruptive ideas, you may need a longer term, higher impact solution. 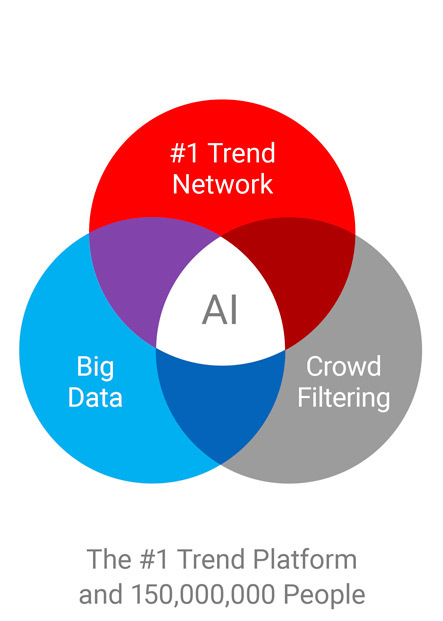 Jeremy's world-leading innovation firm, Trend Hunter, accelerates hundreds of the world's most powerful brands with custom research, dedicated advisors, innovation assessments and a team of the best innovation keynotes speakers. 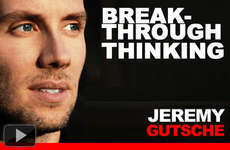 Plus, you get ongoing access to Jeremy's innovation expertise. 10. A free ticket to Jeremy's conference, Future Festival, the "World's Best Innovation Conference"
If you hire Jeremy, you can be a part of his epic client event, Future Festival, an immersive experience where the world's top innovators gather to experience and workshop the future. 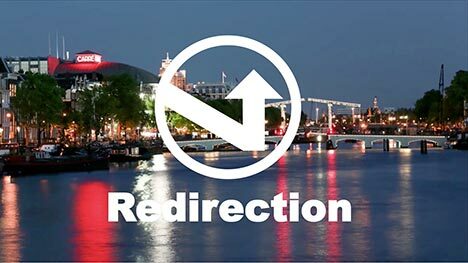 See why attendees rate it the "world's best innovation conference"
"Undoubtedly the most meaningful conference I've ever attended." Jeremy's Trend Hunter team performs innovation keynote speeches for hundreds of the world's top brands. If Jeremy is outside your event's budget range, or if you want to complement Jeremy's innovation speech with a trend deep dive, consider booking one of his best innovation keynote speakers. 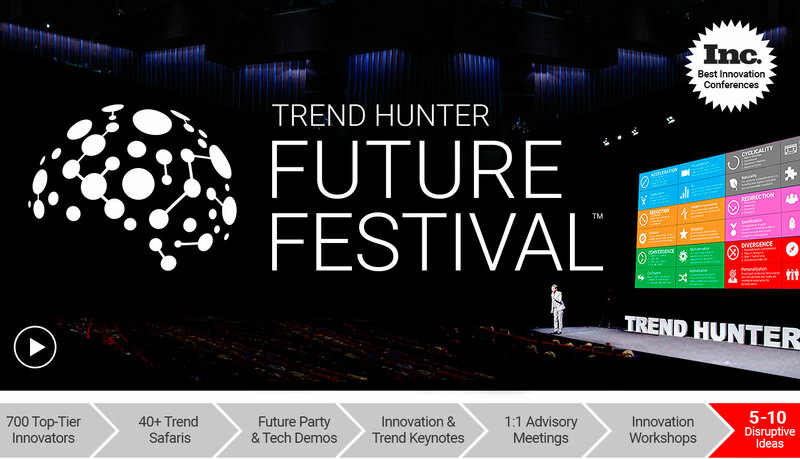 Bring innovation to life with Jeremy's innovation keynote speaker team and a full day of inspiration from Trend Hunter's Future Festival. 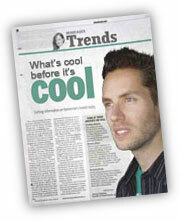 Jeremy's team has completed nearly 10,000 custom trend projects and workshops for 750 of the world's leading brands. Join 160,000 CEOs, entrepreneurs and innovators who rely on Jeremy's weekly report to stay inspired!